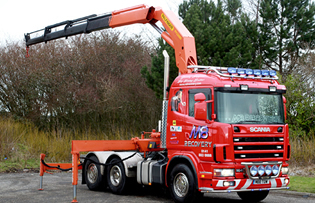 M8 Recovery is a family run business, founded in 2000 by Alex McManus, Jnr, M.I.V.R., which became a limited company in 2006. The company headquarters is in Hillington, Glasgow, the former site of Renault Trucks, so it is well equipped and has purpose built workshops and generous storage facilities for heavy and light commercial vehicles. 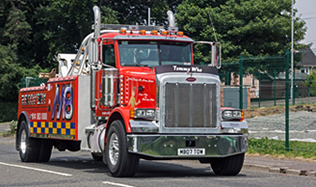 Over the years it has progressed to become one of Scotland’s largest trailer and recovery businesses. It is ideally situated close to the M8 motorway and Glasgow Airport. M8 provides service to several motor clubs such as Green Flag and FMG Support for which we are local agents. 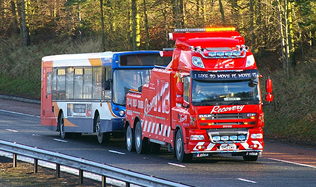 M8 Recovery also deals with private individuals that may require their own vehicles transporting. This may be a classic car, vehicle that has no tax or MOT or a vehicle that does not run. M8 specialise in breakdown recovery across Scotland’s central belt. 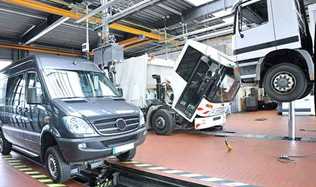 We provide vehicle servicing for heavy and light commercial vehicles in Glasgow.